Adam Pache, originally from Australia, has become one of Europe’s most in-demand drummers since moving to Rome from New York in 2009, sharing the stage with an ever expanding list of musicians such as Steve Grossman, Seamus Blake, Carla Bley, Steve Swallow, Diane Schuur, Clark Terry, Lee Konitz, Terell Stafford, Francesco Cafiso, Joe Cohn, Emanuele Cisi, Gary Smulyan, Jeremy Pelt, Eric Reed, Roberta Gambarini, Will Vinson, Jesse Davis, Paul Jeffrey, Joe Magnarelli, Peter King, Tony Monaco, Ben Wolfe and Scott Hamilton, to name but a few. 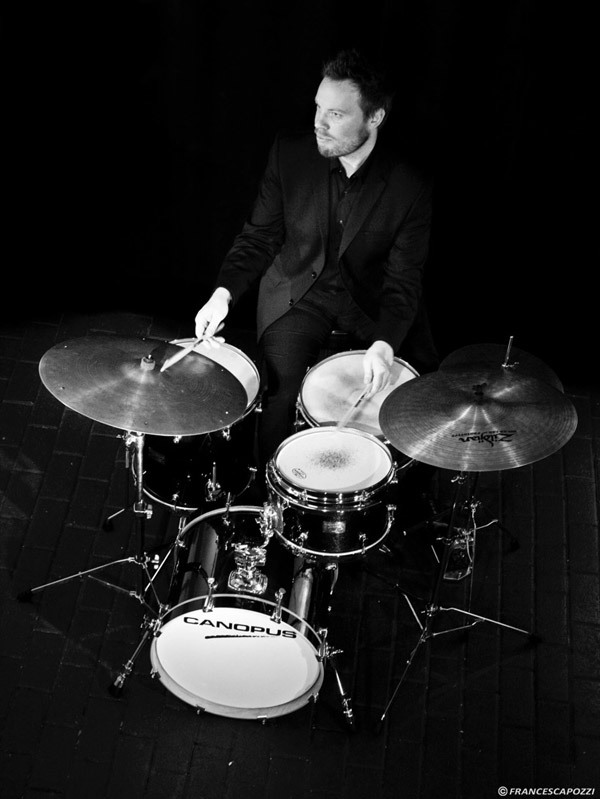 I play the Canopus Neo-Vintage M1 drums and a 6.5" Zelkova snare, and they are without doubt the best drums I have had the pleasure of playing. They are warm, musical instruments that blend well with the band, and I am constantly inspired while playing by the sound that comes out of them.They are easy to tune, due to the extremely high quality workmanship and materials used... and they look great too!